View cart “Mustafa and Arwa go on a Wudu Adventure!” has been added to your cart. Mustafa and Arwa go on a Prayer Adventure! 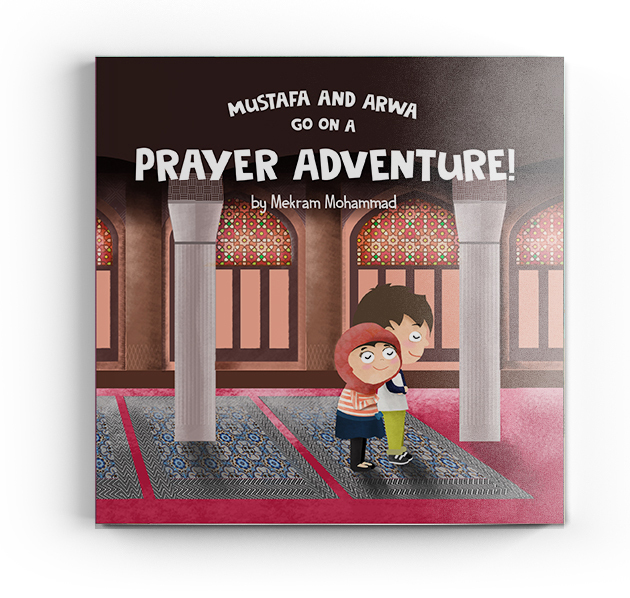 Mustafa and Arwa go on a Prayer Adventure is an adorable storybook for children of all ages to learn about the 5 daily prayers in a fun way! Each page contains easy to understand steps, beautiful illustrations, and fun rhymes to make learning easy and fun! Follow Mustafa and Arwa to see what adventure they go on next! Never has learning about Islam been so fun! This book aims to teach kids the importance of Salat and all the steps that go into it. We believe that it’s never too early to teach kids good habits, and what better way than a fun storybook? Your kids will be having so much fun, they won’t realize they are learning at the same time! Mustafa and Arwa go on a Wudu Adventure! Mustafa and Arwa go on a Zakat Adventure! Mustafa and Arwa go on a Ramadan Adventure! Mustafa and Arwa go on a Ramadan Adventure! Mustafa and Arwa go on a Zakat Adventure!